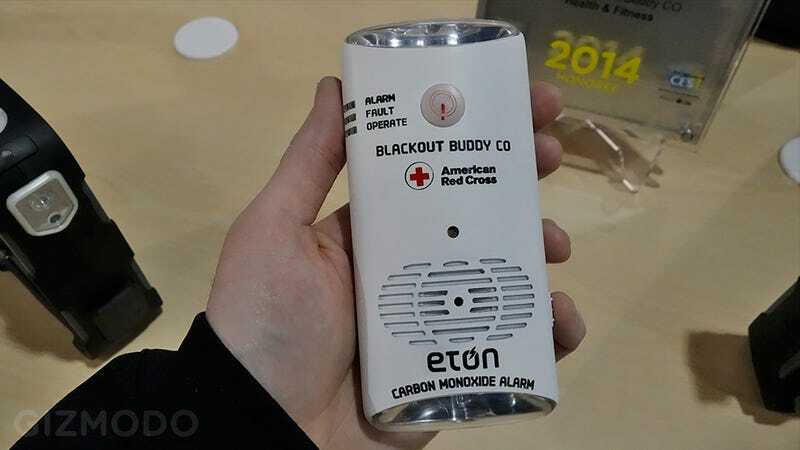 Eton Corporation has updated its outlet-mounted emergency backup flashlight with a built-in carbon monoxide detector that will trigger both an audible and visible flashing alarm when CO levels reach dangerous levels in a room. It's particularly well suited for home use since it's best to mount carbon monoxide detectors closer to the ground for maximum effectiveness. And if the alarm happens to go off in the middle of the night, you'll have a convenient way to navigate the dark.